Teck Resource's Red Dog is still zinc's king-of-the-hill after producing 542 kilotonnes of the metal in 2017. While top-ranked Red Dog is 170-kilometers north of the Arctic Circle in Alaska with winter lows of -22C, the number two mine, Rampura Agucha, is located in India and has maximum temperature high of 34C. Rampura produced 438 kilotonnes of zinc in 2017. 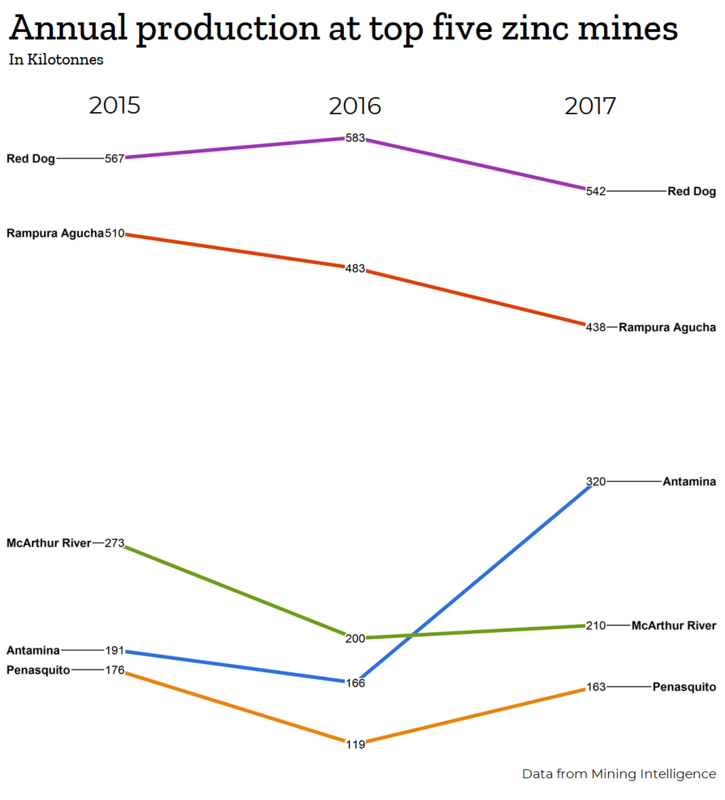 Production at both Red Dog and Rampura Agucha softened in 2017, while Antimina had a stellar year and nearly doubled its zinc output. In its year end Teck attributes the increase to mining and processing significantly higher zinc ore grades. "Zinc mines are running flat out to take advantage of higher prices. The base metal has notoriously short price peaks," says Jennifer Leinart, President of InfoMine USA, CostMine Division. "The price of zinc is supporting the development of underground resources at Red Dog, the top North American producer." The top five zinc miners produced 1,673 kilotonnes of zinc in 2017, which is 40 per cent of the total zinc production by mines. Most of the mines produce zinc as a byproduct. Data comes from Mining Intelligence. Annual zinc production is compiled from publicly-traded mining companies, as well as some state-owned mines. Stock exchanges used are TSX, TSX-V, ASX, LSE, LSE-AIM, NYSE and JSE. The total number of mines tabulated was 70. Red Dog – Teck Resources’ Red Dog mine is the world's largest zinc mine, located about 170 kilometers north of the Arctic Circle in northwest Alaska, near Kotzebue. The mine site is accessible only by air or barge during the summer. Red Dog is an open-pit truck-and-loader operation, using conventional drill and blast mining methods. Concentrates produced at Red Dog are shipped to Teck’s metallurgical facilities in Trail, British Columbia, and to customers in Asia and Europe. 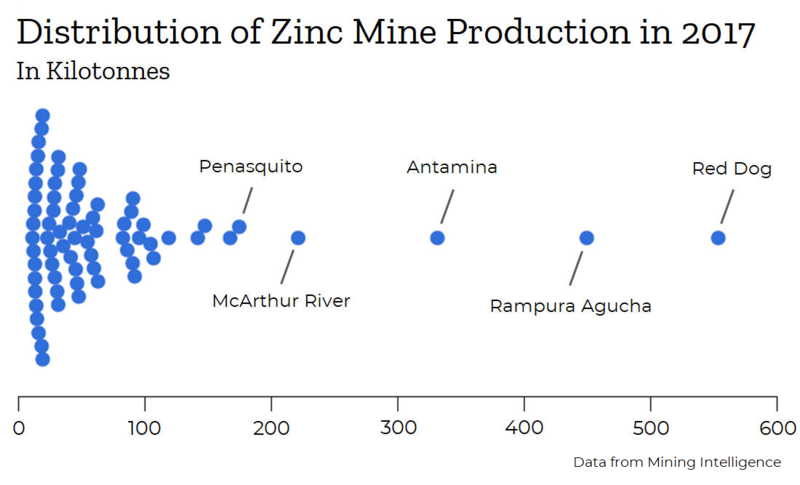 Red Dog has the highest grades of zinc in reserves among top zinc producers. 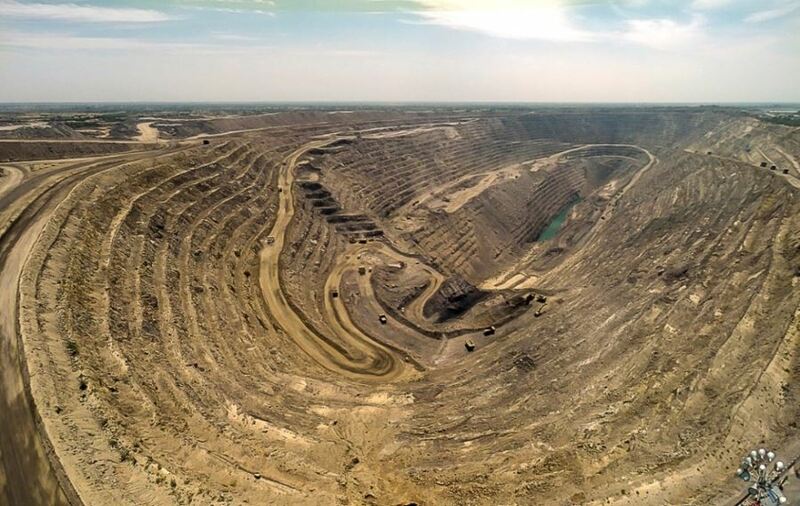 Rampura Agucha – Vedanta’s Rampura Agucha mine located in India is the second largest zinc mine and one of the biggest open-pit mines in the world, with high zinc-lead reserve grades averaging 14.1%. 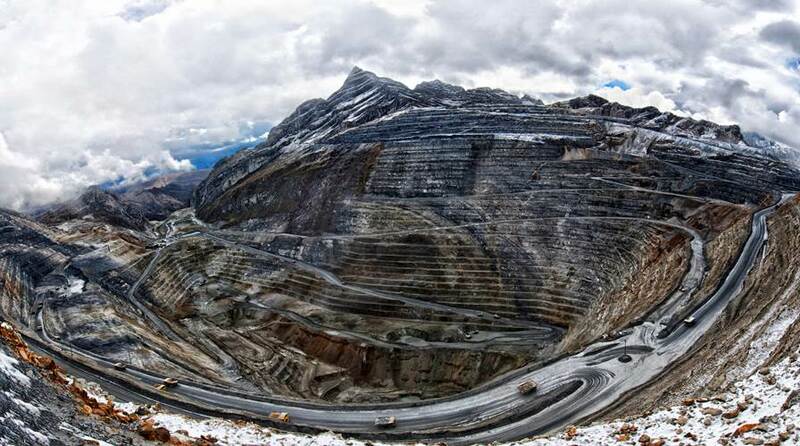 Antamina – Antamina mine, Peru, operated by the consortium of leading mining companies, including BHP Billiton, Glencore and Teck. Antamina is one of the largest copper mines worldwide, being also a major producer of zinc, silver, lead and molybdenum. McArthur River Mine – Glencore's McArthur is located in the remote Gulf of Carpentaria, 900-km southeast of Darwin, Australia. 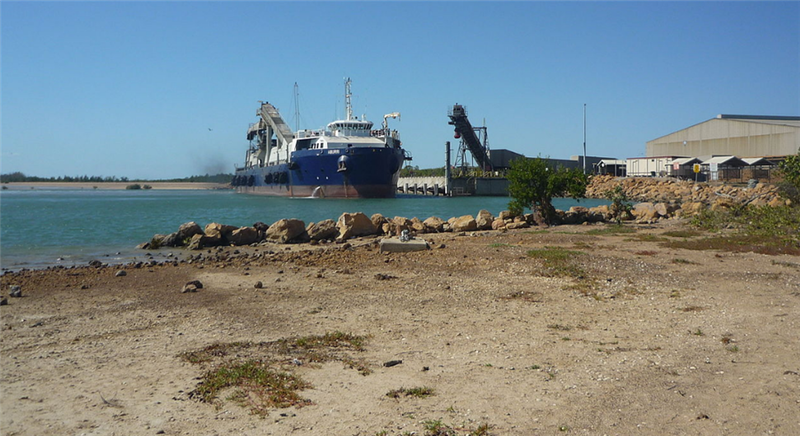 MV Aburri at the Bing Bong Loading Facility, associated with the McArthur River zinc mine, Gulf of Carpentaria, Northern Territory. Creative Commons image courtesy of Wikimedia. Peñasquito – Goldcorp's Penasquito is a polymetallic mine located about 780 kilometres northwest of Mexico City. It produces gold, silver, lead and zinc. Creative commons image of miners in tunnel courtesy of Krystal Jennings. Written with material from Vladimir Basov's past article, Top 10 Mines Riding Zinc Price Wave.